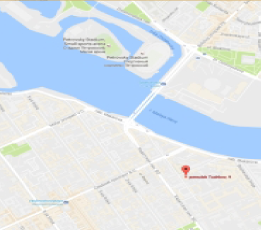 The Institute for Linguistic Studies, Russian Academy of Sciences, announces the 6th conference “Constructional & Lexical Semantic Approaches to Russian” to be held 3–5 October 2019 at the Institute for Linguistic Studies, RAS, in Saint Petersburg. The programme and abstracts from the previous conferences in the series (held in 2009, 2011, 2013, 2015 and 2017) are available on the Institute’s website. The meeting will focus on the issues of Russian syntax. Its central theme is the relation between formal properties of various syntactic constructions in Russian and their semantic, pragmatic and discourse properties. Participants are encouraged to discuss not only regular syntactic patterns, but also “marginal” types of constructions. We particularly welcome studies based on empirical data, including corpus-based and experimental studies. Originally, the central idea of the conference was to contrast two types of approach to syntax: lexical semantic approaches, which examine syntactic constructions “bottom-up”, and constructional approaches, which are based on “top-down” analysis of syntactic units. The lexical semantic approaches take as their starting point combinatorial potential of individual lexemes. In particular, the distribution of syntactic patterns is often claimed to reflect subtleties of lexical semantics (cf. the work by Yuri D. Apresjan and the Moscow Semantic School). According to this approach, semantic and syntactic properties of complex constructions are derivable from semantic and combinatorial properties of their component parts. For the constructional approaches, the central syntactic unit is a construction — a complex form-meaning pairing whose semantic and syntactic features are not predictable from the properties of its component parts. Within “Western” linguistic tradition, this type of approach is typical of various kinds of Construction Grammars (Ch. Fillmore, A. Goldberg, etc.). The findings of Construction Grammar have been widely implemented for the analysis of Russian data by Ekaterina V. Rakhilina and her co-authors. 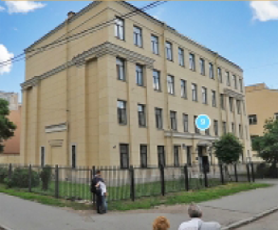 In the subsequent years, the focus of the conference shifted from comparing the two types of approach and it became mostly devoted to the empirically-based analysis of the relation between semantic and formal properties of syntactic constructions in Russian. The upcoming conference is not associated with any theoretical approach. The major preference is given to the studies which focus on the analysis of Russian syntactic phenomena in light of their semantic properties and against the background of general linguistic mechanisms that govern, in particular, the distribution of rival constructions and the diachronic semantic change. The aim of the conference is to gather researchers who are interested in the topic of the conference irrespective of their official status. Abstracts from young researchers, including students, are very welcome. Abstracts based on work in progress are also welcome, provided that there are already some empirical findings to be presented at the conference. The working languages of the conference are Russian and English. There is no conference fee. The abstracts will be anonymously evaluated by the members of the programme committee. Notifications of acceptance / rejection will be sent before 15 June 2019. Participants will be allotted 20 minutes for presentation plus 10 minutes for discussion.